Max received music education at a college level, and interned at the famous Polar Studios. 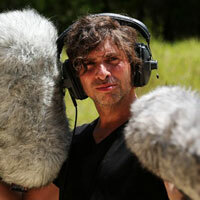 He was a musician, song writer and music producer up until audio for games took over in 2005. He has mostly been working at Pole Position Production, with an exception of five years working as an employee at Avalanche Studios in Stockholm. He has recently been working in house at DICE on 'Battlefield V'.